I hope everyone had a great Easter weekend! Our weather was absolutely beautiful and I took advantage by taking a lovely run (4.5 miles - yes, I'm bragging but it's my longest run ever. YAY! ), spending time outside and eating Easter candy, of course. 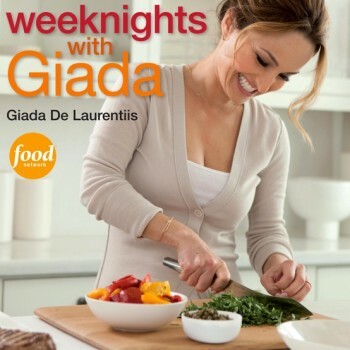 In my Easter basket (yes, I still get an Easter basket), I got the latest Giada cookbook, Weeknights with Giada. In typical Giada style, the recipe is filled with beautiful photos and easy recipes, with a smattering of excerpts from her seemingly perfect life...you think she's perfect too, just admit it! Since I've been an absolute slacker with cooking meals lately, I've decided to make one recipe from her cookbook per week to get myself back on the cooking train. Here's a featured recipe from her cookbook- looks yummy! If you think lasagna is too involved for a weeknight dinner, have no fear, the recipe uses no-boil noodles so it saves you tons of time. No-boil noodles and a food processor are what make this lasagna a weeknight-dinner friend. Both help to put a super-creamy, provolone-cheesy, comforting, and downright amazing pasta dish on the table for the family. One tip to minimize clean-up and avoid hand-grating the cheese: use the shredding attachment of the food processor to grate the provolone first. Then, without having to wash the bowl, you can switch to the blade to make the sweet corn and basil filling. Smiles all around! Place an oven rack in the center of the oven. Preheat the oven to 375°F. Spray an 8-inch square glass baking dish with vegetable oil cooking spray. In a food processor, blend the corn, cream, and garlic until chunky. Add the mascarpone cheese, 1 cup of the romano cheese, the lemon zest, salt, and pepper. Blend until smooth. Add the basil and pulse until just combined. Spread one-third of the corn mixture on the bottom of the prepared baking dish. Sprinkle with one-third of the provolone cheese. Place two lasagna sheets on top. Repeat twice with the remaining corn mixture, provolone cheese, and lasagna sheets. 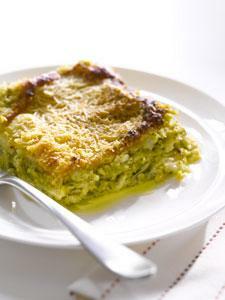 Sprinkle with the remaining ½ cup romano cheese and drizzle with olive oil. Bake for 25 to 30 minutes, until the top is golden brown and the filling is bubbling. Cool for 10 minutes. Cut into 6 pieces and serve. I've got a busy week coming up with a wedding this upcoming weekend, but I'll be back at least one more time for a new post this week. Happy Monday! I can't imagine going for a 4.5 mile run! Looks like a great cookbook and first recipe...can't wait to see how it all turns out for you!